Business owners are at risk of major lawsuits, but they don’t know what to look for. I wish this were an assumption. In a recent report of nearly 5,000 U.S. businesses, I found that compliance was the lowest priority for business owners, yet when it comes to understanding how to be compliant, business owners stated compliance as the least confident part of their business. Imagine if this happened to your business. An employee is terminated for a just cause — let’s say, not showing up on time repetitively. The employee is angry and ‘lawyers up’ for a wrongful termination suit. The plaintiff’s attorney starts asking questions not related to the wrongful termination. The attorney finds out that the employee regularly clocked in a few minutes early from their unpaid meal break. In California and many others states, this is a big problem. The employee should have been paid for the full meal break if they didn’t get a full 30-minute unpaid break (unless they had prearranged another arrangement). So, the employee sued the business for $1,000 for every minute he/she clocked in early over a two year period. Now this business is staring down a $400,000+ lawsuit and is likely need to settle the case to ensure their business survives. This is just one example of how a minor error left unattended to can cause a major headache or worse. 1) Compliance Rules Engine — a suite of 10+ tools to keep your business compliant with common wage-hour issues. 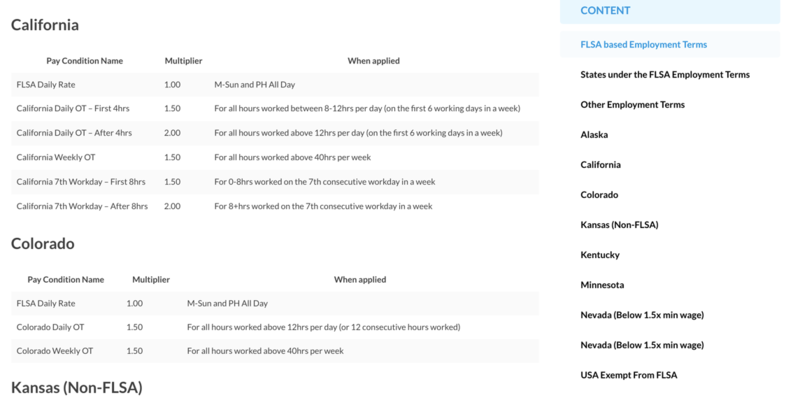 2) Predictive Scheduling Toolkit — tools to help businesses that are impacted by the Fair Work Week AKA ‘Predictive Scheduling’ laws that are now passed in multiple states, including New York City. Below I’ll outline what risks businesses have, examples of real lawsuits, and how Deputy is helping our customers solve for these issues. Context: An employee is eligible for Unemployment benefits typically if they were laid off due to no fault of their own. Generally speaking, if an employee willingly engages in conduct that substantially harms the company’s interest then they will not be eligible for UI. The exceptions are for chronic tardiness, multiple unexcused absences, lying and cheating, insubordination, and intoxication on the job. If an employee quits, the reason must be “compelling”. How Businesses Get It Wrong: Most businesses do not track minor infractions that could show a pattern of misconduct. When challenging a case, the employer does not have enough information to support their case. 1. Shift Offer Report: Each shift that is offered by a manager or shift swaps offered by an employee are logged along with the corresponding outcome – ‘Accepted’, ‘Declined’, or ‘No Response’. When an errant Unemployment claim is mailed to your office, print this report off to defend the case. Context: Workers’ comp rates are determined by a combination of your Payroll x Industry Classification Code x Experience Modification Score x any Credits or Debits = Premium. Premiums are expressed as a % of every $100 in payroll. For example, circus performers have a 60%+ rate ($60 for every $100 in payroll) while clerical workers have a .05% rate. The issue is that more claims that are submitted can harm your XMod score when in many cases early identification of a minor injury can be treated and prevent a full claim from needing to be submitted. The other issue is that legitimate injuries often go unreported for weeks when the cost to treat the claim is much higher. Reports show that if a legitimate injury waits 2 weeks to be reported the cost is 2x and if 3 weeks have gone by the cost to treat can be 5x or greater. How Businesses Get It Wrong: Businesses don’t have a way to immediately capture if an employee reports a minor or major injury in real-time or if an unsafe work condition exists that can fixed before there is an injury. 1. Safe Shift Reporting: At the end of every shift, the employer can ask “Did you have an injury free shift today?” and/or “Are there any unsafe work conditions that should be reported?” via a custom surveys that is on the timecard. If the answer is “No”, a comment is required and the manager is alerted immediately via an app notification and email to follow up. In the case of a false claim, the employer can pull the logs to support that the employee reported an injury free workplace at the end of those shifts. Context: Wrongful termination claims arise when an employee believes they were let go due to discriminatory reasons. How Businesses Get It Wrong: Lack of documented poor performance that creates a case for a negative pattern of behavior. Employers are just too busy and misconstrue verbal discussions with documenting these events. 1. 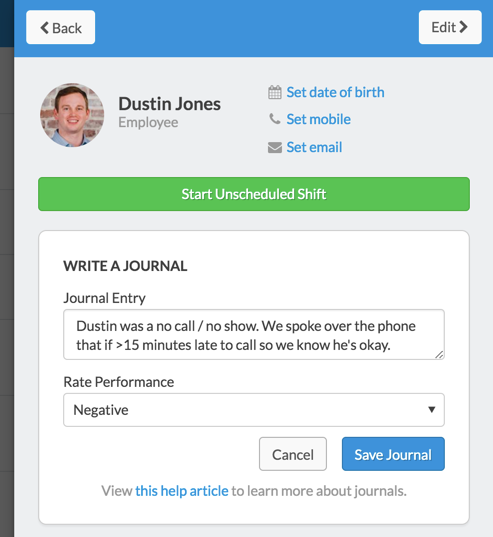 Performance Journaling allows employers and managers to provide feedback on the spot during the shift when the feedback is fresh and the details are crisp. 2. Journals can be tagged for positive and negative reasons such as customer feedback, uniform, tardiness, etc. Context: Some states require a full unpaid meal break while others require a meal break and additional rest breaks for hours over eight hours. How Businesses Get It Wrong: In some states when an employee does not get their full 30 minute unpaid meal break, the employer is required to pay the full break time unless there is an alternate arrangement to not pay the interrupted break in advance. Not reminding your employees to take a break and recognizing when the rule is broken in order to pay the premium can create grounds for liability. 1. Set paid and unpaid meal breaks per shift and notify the employees to take the break at a certain time of the shift. 2. 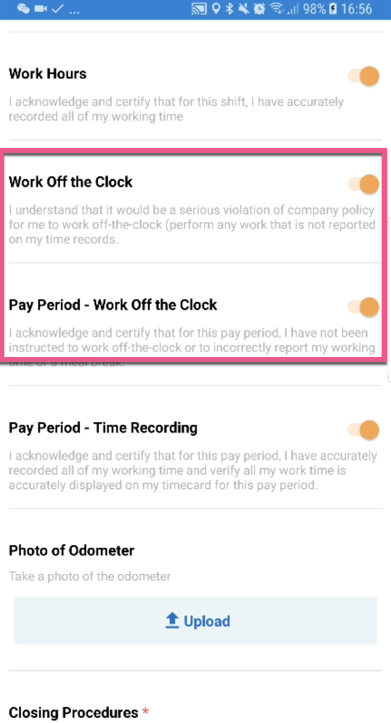 Custom payroll conditions can be written to automatically add custom time to a timecard when the employee does not take their full break, alerts are sent to the manager, and timecards are flagged. For example, we have a payroll condition that will automatically add a unit of time to the time card if the full 30 minute meal break wasn’t taken during a shift that was at least 4 hours in duration. The timecard is flagged so the manager can review it and coach the employee using Performance Journaling. Context: Many large employers (50 FTEs) attempt to keep their number of full time employees beneath the 50 limit for purposes of the Employer Mandate under the Affordable Care Act. Not paying for hours greater than 40 hours can also occur on accident if employees unintentionally work a few minutes over each shift or are unable to take their unpaid break. States like California mandate overtime for hours over eight in a day (1.5x), 12+ hours in a day (2x rate), and hours worked on the 7th consecutive day. How Businesses Get It Wrong: They don’t track all hours worked, especially untaken meal breaks. Rearview visibility of the timecard at the end of the week results in not enough time to keep employees from exceeding the 30 hour threshold or from paying 1.5x the ordinary pay over 40 hours. Employees also feel reticent to report hours > 40 and falsify timecards which can cause issues later. 1. Pre-built “stress’ (Deputy’s term for Overtime) profiles are used to select common or state-level overtime rules. 2. Deputy has overtime profiles for every state as well as hundreds of Awards for the Australian labor market. Custom rules can be created regulations change. 3. Adds attestation language at the end of each shift to confirm that employees have not worked off the clock and that they took uninterrupted meal breaks. 4. Alerts will appear if scheduling an employee into an overtime situation and alerts are sent to the employee and manager if the upcoming shift will exceed overtime. Context: Employers in some states can accept a ‘tip credit’ — a credit towards the Federal Minimum Wage of $7.25 or state minimum wage intended to allow the employer to pay below these levels (down to $2.13/hour) as long as their employees earn minimum wage when their tips are factored in. Watch a full webinar on tips/tip pooling by Littler by clicking here. How Businesses Get It Wrong: Employers who take the tip credit don’t always track the exact tips earned by their employees. 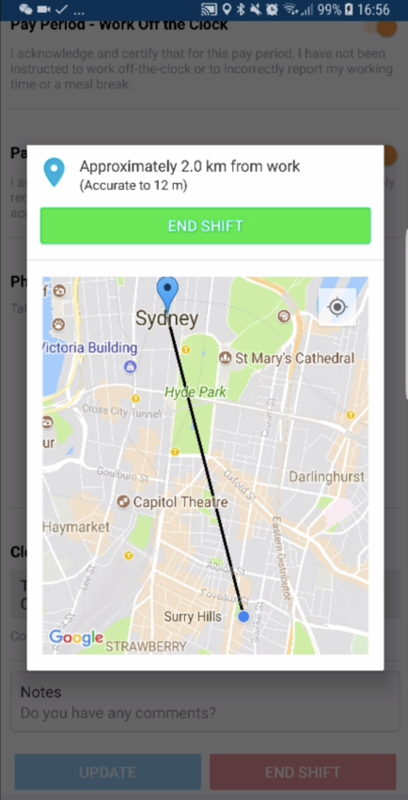 On a slow day the employee might earn less than minimum wage from a combination of their $2.13 and tips, in which case the employer is liable to pay the difference to achieve the minimum wage. 1. Obtain tip totals from employees at the end of each shift via a custom question on the timecard. 2. 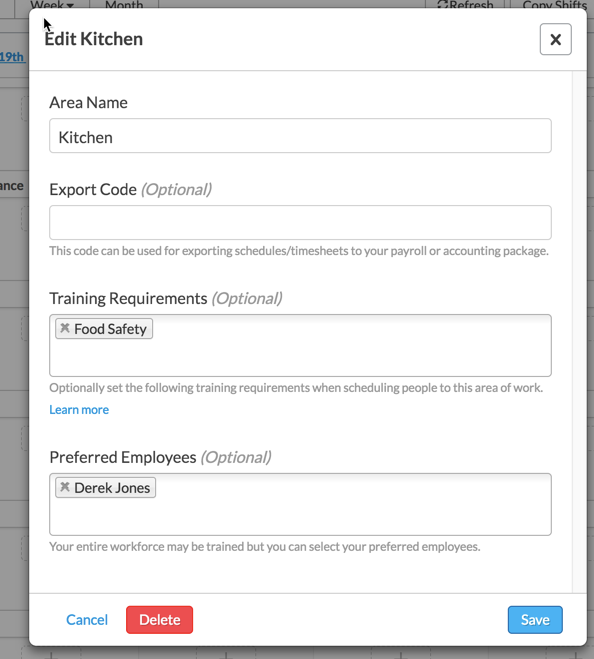 Add attestation language on the timecard to confirm that the reported tips are accurate. 3. 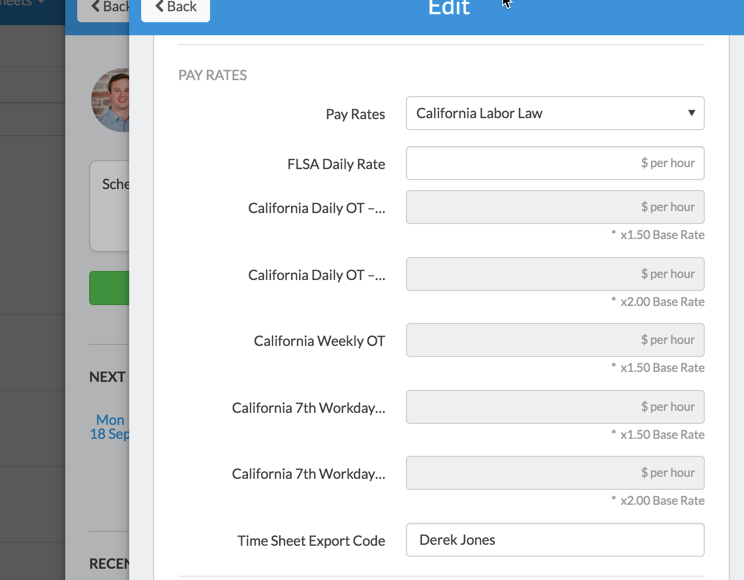 Deputy’s Custom Payroll Rules Engine can automatically add custom time to a timecard if the employee did not earn the Federal or State minimum wage after their reduced wage + tips. Timecards are flagged and managers are notified. Context: Employees often feel hesitant to report overtime hours or time to prep for the start of their shift. The result is employees will often arrive early and not clock in or will clock out and continue working. If an employer allows this to happen there could be thousands of small increments of time they could be considered compensable. How Businesses Get It Wrong: A typical test is the ‘de minimis’ test —that is, if the off the clock or prep time is indispensable to the primary work activity. Courts have often found that if the time is less than 10 minutes per day, then it is likely de minimis. Some courts have argued that if the time is unable to be recorded as a practical administrative matter then the time is not compensable while others have argued that any work that can be tracked and recorded should be paid. 1. Timecard Accuracy: Adds attestation language on each timecard to certify that the hours worked were appropriate (i.e., “I acknowledge and certify that for this shift, I have accurately recorded all of my working time.”). Deputy has attestation language for all 50 states. This language should be reviewed by your attorney and can be modified with ease. 2. Off-the-Clock Protection: Adds attestation language on each timecard to certify that the hours worked were appropriate (i.e., “Have you performed any unrecorded work since your last punch out?”). 3. 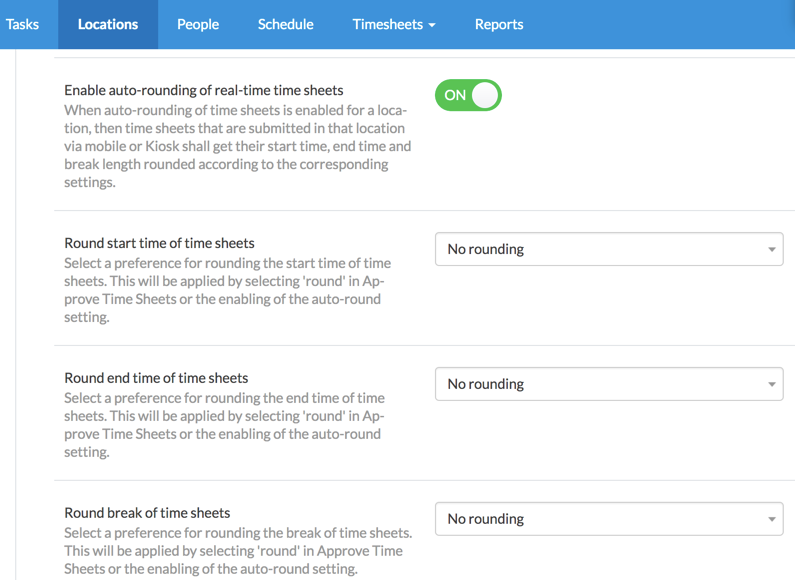 Timecard Approvals: All timecards are submitted by the employees and can be reviewed in real-time. 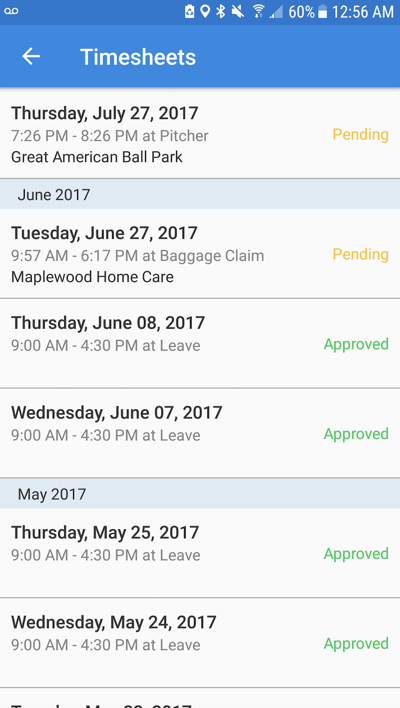 The status of each timecard is visible to the employee as ‘Pending’ or ‘Approved.’ Employees can see the final approved timecard at any time. This approval step aligns the manager and employee on the final timecard and the employee can then communicate if they contest any of the changes. 4. GPS Clock-In confirms that employees are where they should be — did they clock in at the job site or near their home? If the GPS ‘geo-fence’ is off by a distance threshold you define. Then the employee will see that at the time of clock-in and the employer will be notified, as well as the timecard will be flagged for review. 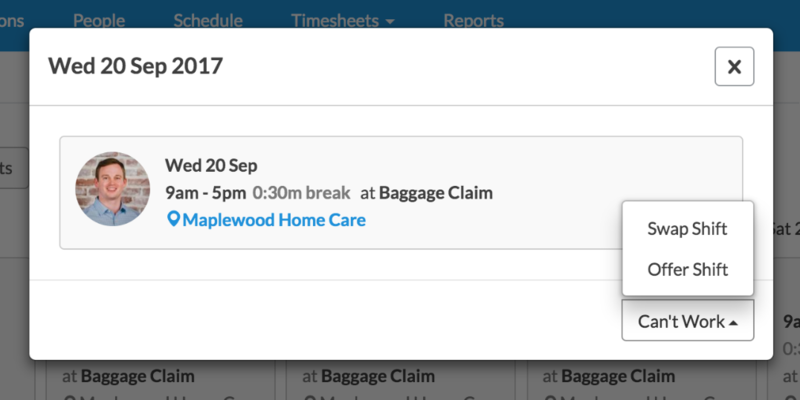 On the timecard, a map of the expected vs. actual location is displayed. Context: The FLSA allows time rounding to the nearest 15-minute increment. How Businesses Get It Wrong: The #1 issue is when the rounding is not considered neutral. I.e., if an employee clocks in at 9:01 AM, the timecard might round to 9:00 AM but at the clockout, the punch-out is 5:55 PM and rounds down to 5:45 PM. This is non-neutral rounding in the favor of the employer and is very risky. 1. Allows for neutral rounding down the the minute level or no rounding. Context: The Federal Minimum Wage is $7.25 an hour. All employees must be paid this unless the state minimum wage is higher or if the employer can offer lower than either minimum wages as a tip credit. Certain occupations are exempt like babysitters, farm workers, independent contractors, or those under the age of 18. How Businesses Get It Wrong: Employers often will pay a piecemeal rate for a specific job or task, especially in field-related work like HVAC, painters, plumbing, construction, lawn care, and house/commercial cleaners. The appropriate minimum wage must be paid even if the worker is paid a piecemeal rate. 1. Custom Payroll Rates by Area allow for pay rates to be set at the Area level. 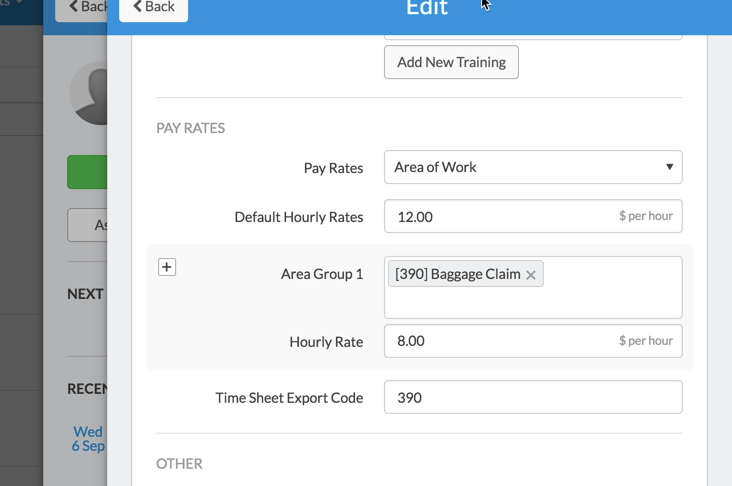 This area has an associated timesheet export code and can signal to your payroll provider to pay that rate. Context: Buddy punching, the practice known as clocking in for a co-worker, is not only costly but has compliance implications. In healthcare and other sensitive settings, a business needs to ensure and be remain audit compliant that the correct employees were on shift. How Businesses Get It Wrong: Using paper timecards or not having biometric capabilities could result in buddy punching that keeps the wrong ratio of people on shift (i.e., in the case of Assisted Living and Nursing Homes). If a co-worker stays later to clock another employee out, that could also put that employee in an overtime situation and the attestation completed at the end of the shift (work free shift, no off the clock work was completed, etc) can’t be verified. 1. Deputy uses a 4-digit pin and biometric facial detection to confirm the employee who is clocking in and out is who they say they are. 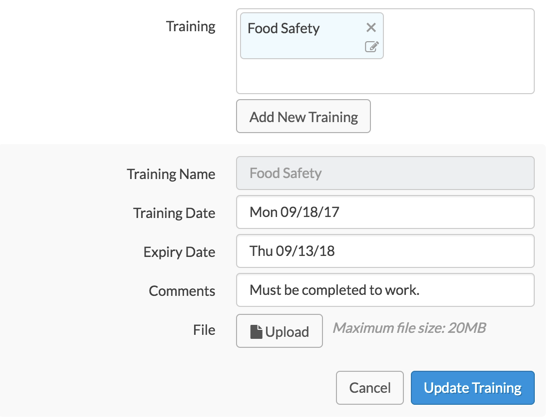 Context: In restaurant environments, at least 1 employee is often required to have their Food Safety Manager Certification while the other employees must obtain a Food Handler Card. Other certifications like Sanitation, Alcohol and Spirits, and Hazardous Material Handling can be required. How Businesses Get It Wrong: Employees are trained, but keeping up with the certifications and expirations aren’t consistent. Shifts occur where certifications have expired, leaving the business and customers at risk. 1. Certification and Training Tags can be added to an employee and required for specific areas of the business. Alerts appear if an error is made during scheduling. Certification Date, Expiration Date, Comments, and upload scanned copies as an attachment. Context: Drive time between work sites and to remote work sites that are beyond the ‘normal’ commute could be compensable. Mileage is not typically required to be reimbursed. How Businesses Get It Wrong: Businesses who offer multiple jobs or shifts during the same day that do not pay drive time between those shifts are at significant risk. A case occurred with a major retail pharmacy chain — not only was the drive time compensable between shifts but in many cases the additional time put the pharmacist in an overtime situation that resulted in a $7.14M judgement to be split among all the plaintiffs. 1. 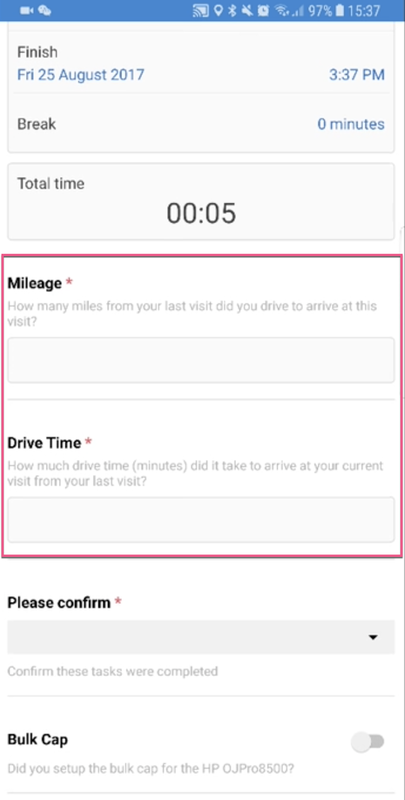 Collect drive time and mileage for each shift using Custom Timesheet Fields. 2. Map these fields into a custom payroll format and submit seamlessly to payroll. Context: While there is no Federal rule, at least eight states have enacted laws that require a minimum number of hours paid if the non-exempt employee shows up to a scheduled shift but is sent home, even if no work was performed. The law varies by state and can include paying a minimum number of hours or up to half of the scheduled shift. How Businesses Get It Wrong: Simple, employers send employees home without paying or they pay too low of a premium. 1. Deputy’s Custom Payroll Rules Engine can be customized to observe the scheduled shift time and automatically add custom time to the timecard for payroll purposes if a minimum number of hours is not worked. GPS clock-in confirms that the employee was actually at the physical location. Context: At the Federal level, paid-time off is not a requirement but many employers choose to offer this as a benefit to attract and retain employees. So the question then is, are employers required to pay accrued PTO at the end of employment? The general answer is “yes”. Half of states require this but other states that do not specifically mandate to do so require the employer to follow their internal policies. How Businesses Get It Wrong: Businesses who track hours on pen/paper or antiquated scheduling systems can’t see PTO accrual balances when requesting or approving leave. We see many businesses approve more time than has actually accrued and find out weeks later. The result is the employee feels an obligation to underreport their ordinary time, which causes an off-the-clock liability issue. 1. 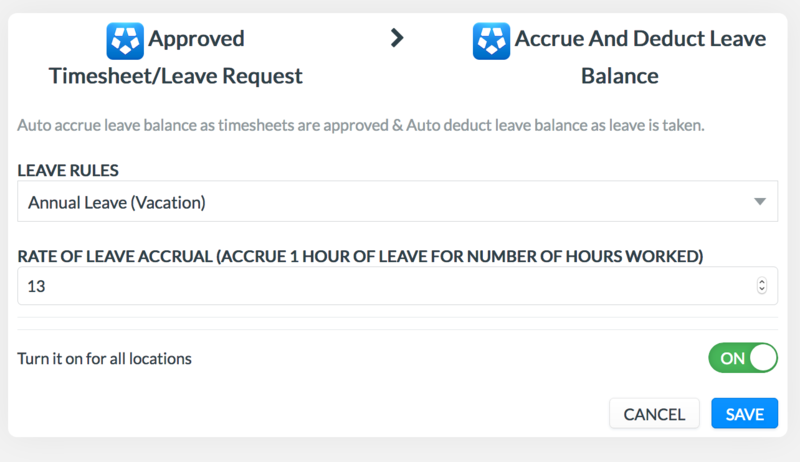 Accrual Rules Engine: PTO/Leave/Vacation accruals can accrue within Deputy based on your rules (i.e., 1 hour accrued for every 12 hours worked). 2. 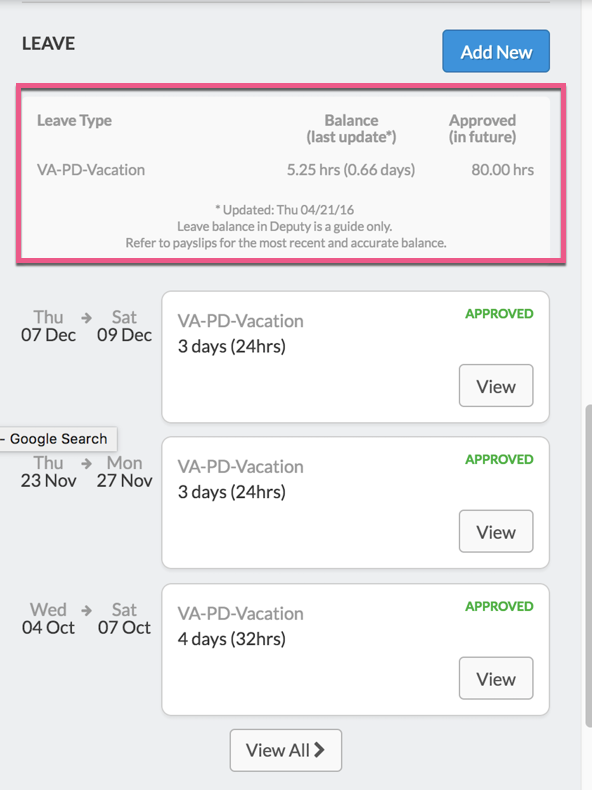 Accrued PTO Visibility at the time of request: Employees see their accrued balances at the time of requesting leave so they don’t request more time than the balance available. 3. PTO Balance Integration: Deputy integrated leave balances from payroll systems like BambooHR, Gusto, Xero, MYOB, and very soon, ADP. 4. 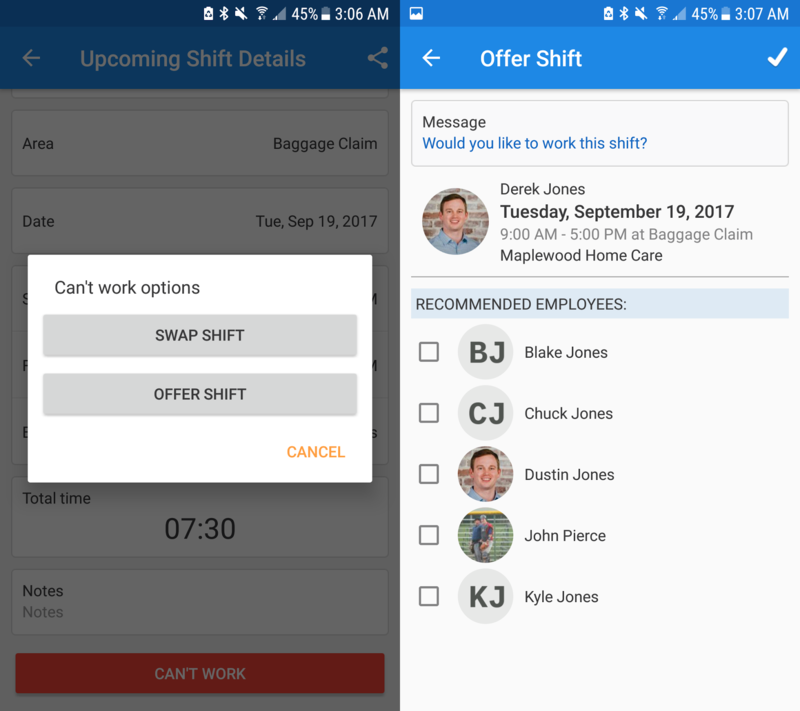 Future Shift Conflict Resolution: To prevent schedule conflicts, approved leave initiates an automatic workflow to remove the employee from scheduled shifts during that leave and/or make those shifts open for other employees to accept. 5. Above Store Reporting: See staff Availability, Leave Requested, Approved Leave, and Pending Leave at a store or System/Chain level to prevent overpayments or pending approvals. Context: Many states and municipalities including San Francisco, New York City, Chicago, Portland, Oregon, and others have passed similar regulation that requires shifts to not be altered within two weeks of the scheduled shift. 1) Notice of expected shifts by day and hours per week at the time of hire and their on-call shifts. 2) No changing of the schedule by the employer within two weeks or a premium of $20-$100 must be paid. 3) Employees must be able to swap shifts with their co-workers. 4) Employer must offer shifts to surrounding locations before hiring additional employees. 5) Prevent shifts from working with less than 11 hours between. How Businesses Get It Wrong: Employers make an error in determining if they must follow these regulations and they continue to use paper based scheduling that entices hearsay as to compliance with the regulation. For example, if an employee calls out sick by calling their manager, the shift manager will pull them off the schedule and find a replacement. If that shift swap is conducted over the phone then it’s the employee’s word vs. the employer as to who suggested the schedule change. 1. 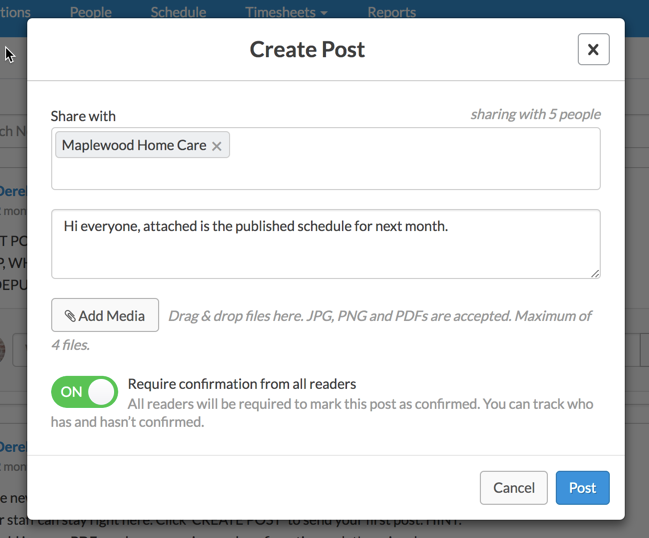 Newsfeed keeps all communications recorded and notice of schedules can be published with reader confirmation. 2. Shift swaps are available at the direction of the employee. 3. 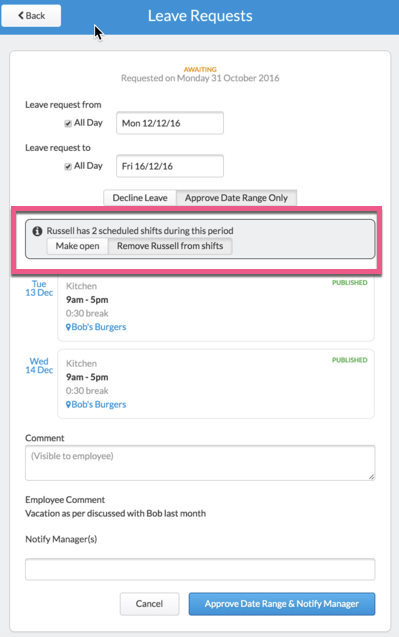 Timecard adjustments can be made if the shift changes at the direction of the scheduling manager. 4. 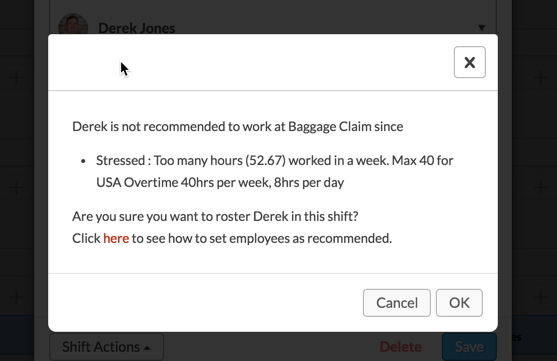 Stress Profile with alerts at the point of scheduling to prevent ‘clopening’ (11 hours must lapse before an employee works a consecutive shift). 6. Transmission of the schedule via electronic means. If you’d like to learn more about how these features can work for your business sign up for a free 30-day trial of Deputy by clicking here. The post 15 U.S. Compliance Checkpoints to Avoid a Business-Ending Lawsuit appeared first on Deputy.